Beautiful beach at the end of Pearl St.- very close to the condo! Evening view from the private association owned deck. 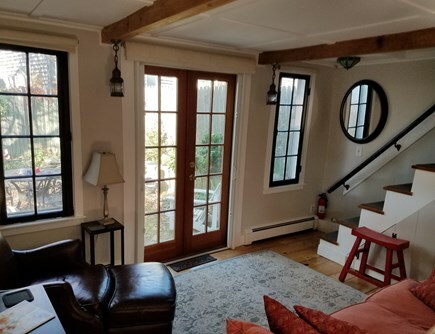 Beach: 200 feet to harbor beach at the end of Pearl St.
Set back off Pearl Street, located between Commercial St. & Bradford St., the townhouse has hardwood floors lots of windows and light and possesses a great deal of Cape charm. 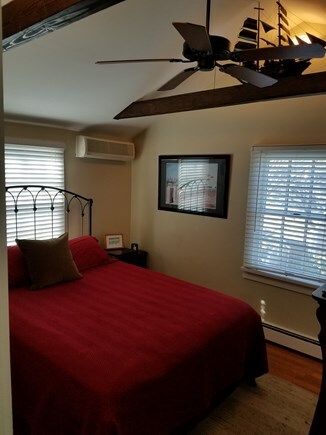 This home has central A/C. The freshly painted living room includes flat screen HD TV, Cable and DVD. 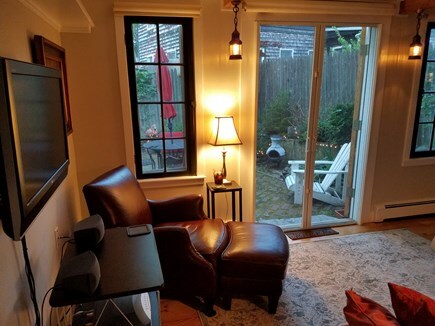 Living room opens onto a very private brick patio with perimeter gardens, Adirondack chairs and patio dining set. Perfect for quiet times or entertaining friends. 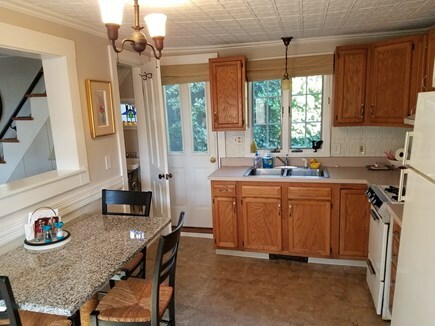 The kitchen is well equipped and leads to a second private patio with grill. Both bedrooms are upstairs. Tiled full bath upstairs (walk-in shower, not tub) and a smaller 1/2 bath downstairs. Reserved parking for one car. 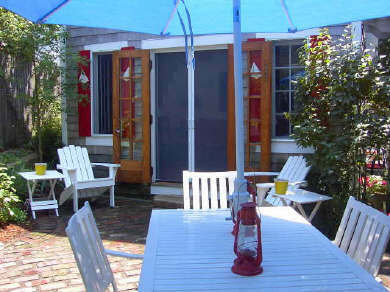 Easy and quick walk to a private association-owned deck on the beach with access to the beach on the bay. 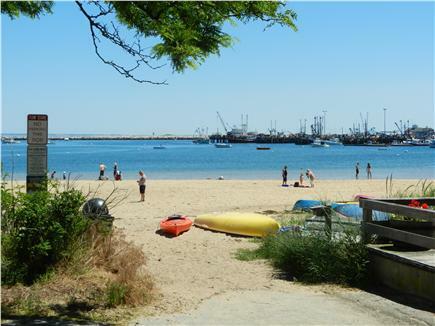 There is also a beautiful public beach just steps from the condo at the end of Pearl Street. 2 minute walk to the gallery district, 5 minutes to the ferry, 5-10 minutes to restaurants and night clubs. Close to the bike trails, tennis courts and groceries. 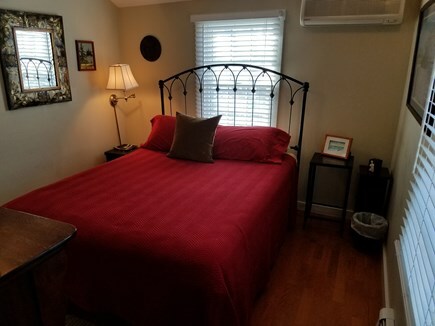 This unit is perfect for people who want the classic cape feel, privacy, easy access to the beach but still close to Commercial Street's shopping and dining. This condo is on floors 1 & 2 of 2. Nearest beach: 200 feet to harbor beach at the end of Pearl St.
We arrived at this lovely place. Much to our surprise the condo is much nicer than the pictures on line. LOVE the garden; we spent most of our time there. The water fountain running at night was wonderful. 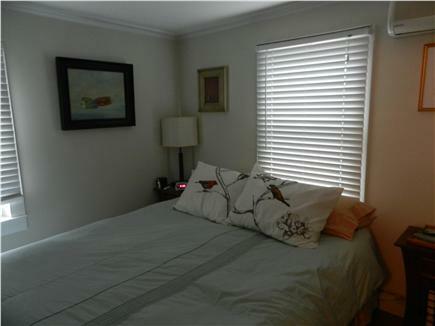 All the furnishings are great and the beds are super comfortable. Bryan is very professional and easy to deal with. This is our number 1 place to stay in town from now on. This home is a slice of paradise! It is comfortable, clean, bright and beautifully decorated! 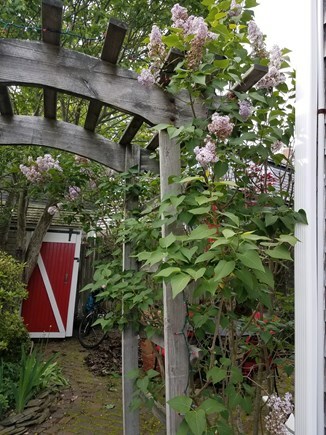 It is set back from the street which makes it very quiet and private, yet it is steps away from everything Provincetown has to offer! 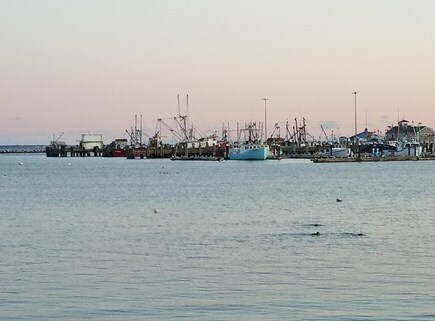 We have stayed in many places in Provincetown, yet, my family and I have stayed here for the last 7 or 8 years, as it is truly a hidden gem! We are coming back again in July and we can't wait!